Helen & Chris Road Trip USA: Whales!! 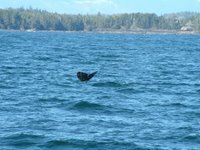 We saw Whales!! Went on a 3-hour boat trip this afternoon out on the waters off the coast in search of the migrating Gray Whales - migrating from Baja California up to the Alaska. 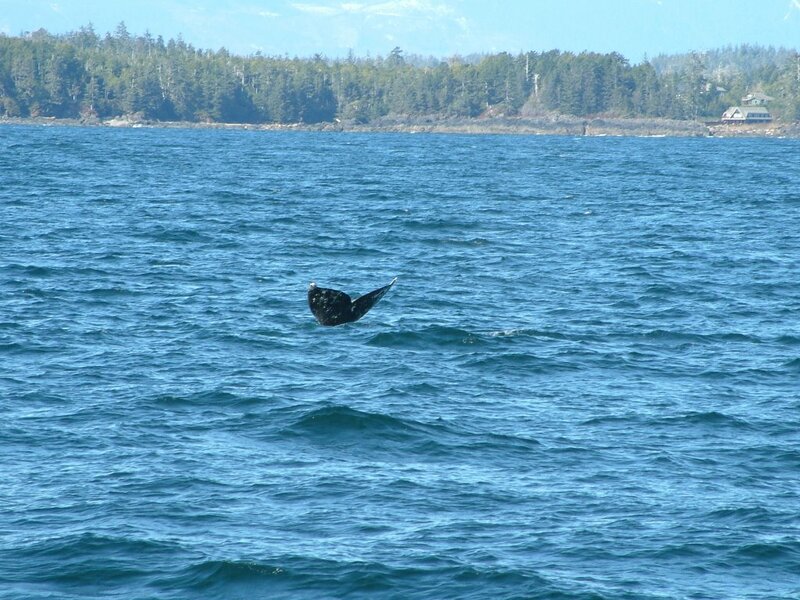 We saw several spouts first and then you see the back of the beast as it dives back down. Sometimes but not always it will flip it's tail - like the image you always see - and the first whale we saw to do that was just amazing. We tracked them for about an hour - there were about 3 travelling together - this was too cool! Photos are lousy - but then it was never about the photos - we bought postcards for that!! Sad to be saying goodbye?